My Favorite Day of the Year - Valentine's Day! My favorite part of Valentine’s Day…hundreds of renditions of "My Funny Valentine" (Rodgers & Hart 1937 from the musical Babes in Arms) playing throughout the day... From Frank Sinatra to Chaka Khan, Ella Fitzgerald to Big Muff, every genre of music imaginable! Call me a hopeless romantic but my absolute favorite day of the year is Valentines Day. Champagne, chocolate, roses, and hundreds of renditions of my very favorite song playing all day…what could be better than that! About drinking champagne…the glass actually does matter! I love the Coupe, classic, nostalgic, elegant and romantic, but not good for bubbles if you are a big fan of keeping your bubbly, bubbly. The Flute is perfect for young Champagne and great for keeping the bubbles. The Tulip is my second fav…perfect for mature Champagne (aged to the point where it will not gain further complexity by continuing to store) and believe it or not a regular Wine Glass is ideal for high end more complex Champagne varieties. Needless to say, we make it a day of culinary traditions, starting with Chocolate Covered Strawberries and Valentine’s Brunch featuring Chocolate Waffles and Champagne. Gentlemen, don't forget the roses and the little blue box! 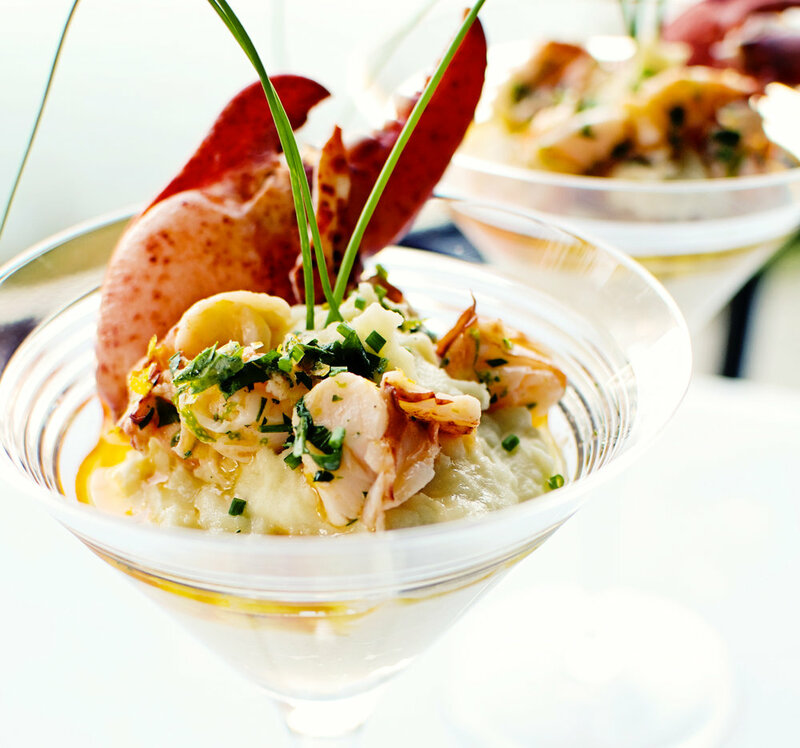 My Lobster Cocktail starter is the perfect beginning to a romantic Valentine’s Day dinner at home. So simple and can be prepared a day ahead of time and just put together at the last minute. 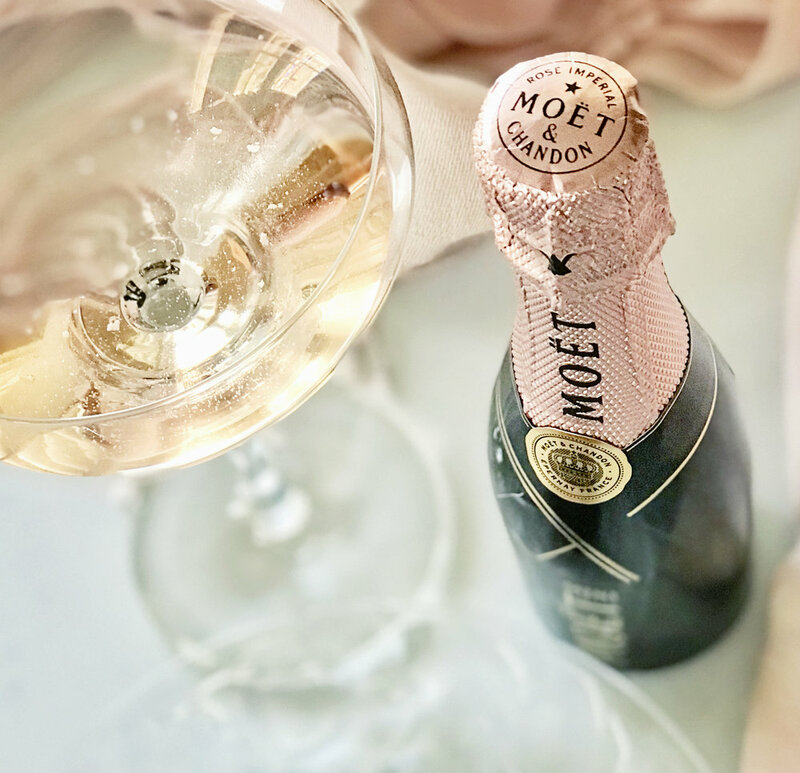 Add a glass of your favorite champagne, what a way to kick off the evening! Then, may I recommend a lovely Chateaubriand for Two! 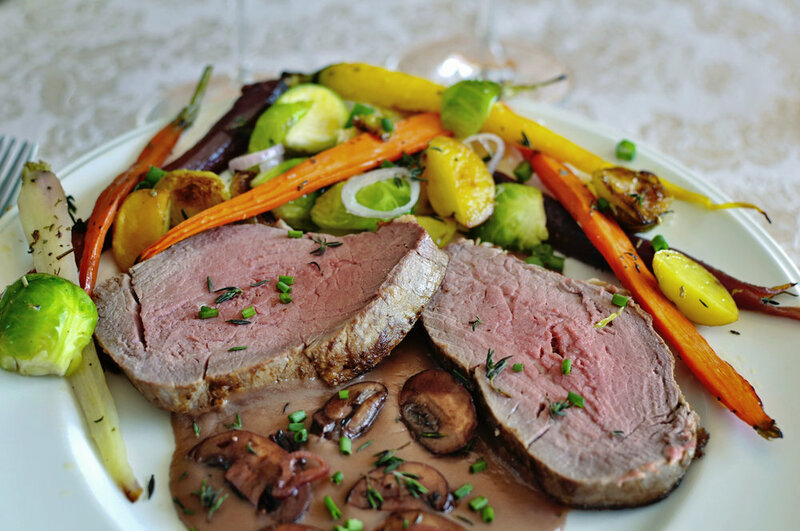 Slow roasted tenderloin with a rich and flavorful mushroom sauce and roasted vegetables, so tender, it will melt in your mouth! This dish is so simple to prepare, but don’t tell your Valentine, he (or she) will think you slaved all day! I usually do Chocolate Soufflé for Valentine’s dessert, but this year, I am changing it up with my Chocolate Ganache Cupcakes with a Pink Champagne Glaze. The cupcakes can be made the day before, so all you have to do for dessert, is enjoy!!! So, that’s it! My idea of the perfect Valentine’s Day. Of course it’s all about the food, delicious but simple to prepare and lots of champagne and chocolate, all while enjoying Your Funny Valentine. 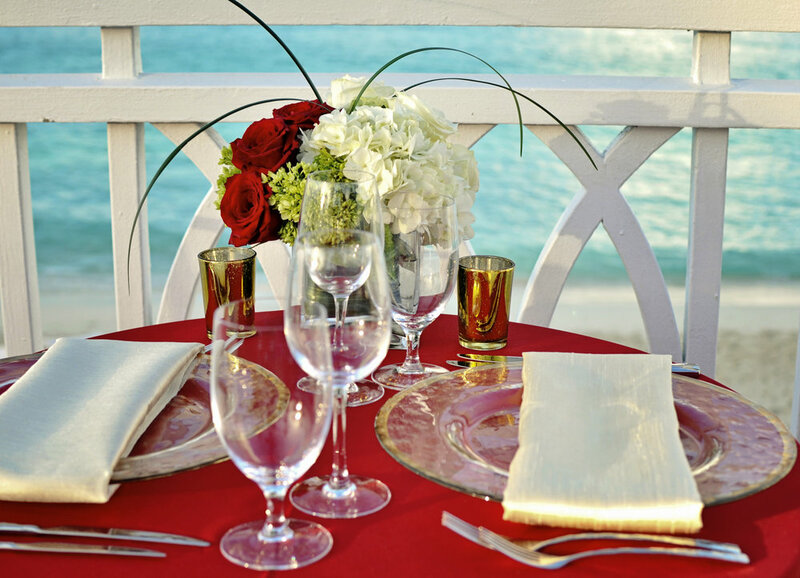 Happy Valentines Day from Beautiful Bahamas! My favorite day of the year!!! Our Valentine's Day starts with romantic Chocolate Waffles and Champagne! Of course, it would not be Valentine's Day without my 100+ renditions of "My Funny Valentine" (Rodgers & Hart) playing throughout the day... From Frank Sinatra to Chaka Khan, Ella Fitzgerald to Big Muff, every genre of music is represented!